There is nothing simpler to make than fried cabbage. And combine it with a little meat, and you have a meal in a skillet. My taste for cabbage runs the gamut when it comes to spiciness. I like it lightly seasoned with just salt and pepper — some might call this bland — or it can be relatively hot when it features some of my favorite capsaicin-laden jalapeños or habaneros. 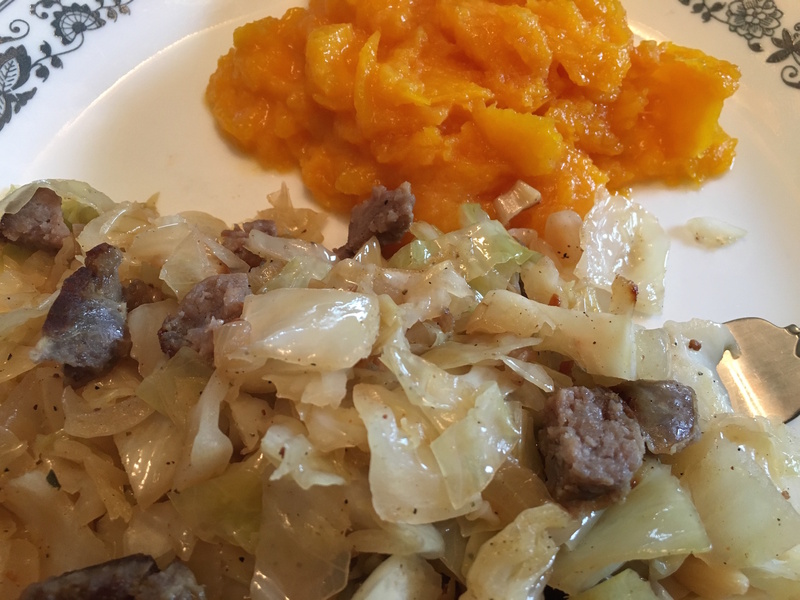 The following fried cabbage recipe, which features bacon and brats, goes lightly on the hot stuff, containing just a teaspoon of red pepper flakes. This is a good example of the old adage that some of the most simple meals are the best. Take bratwurst out of casings and cook with bacon oven medium heat in a large skillet. Cook until bacon is crisp and sausage is crumbly and done. Remove with slotted spoon and set aside. Add onion and cook for 3 minutes. Add garlic and cook another 3 minutes. Add cabbage, sugar, vinegar, garlic and onion powder, paprika and red pepper flakes. Simmer for 30 minutes. Add crumbled bacon and bratwurst. Combine with cabbage mixture and serve. I’m gonna try it! But no damn sugar. There is meat in the meal and its a sin to mix meat and sweet! !